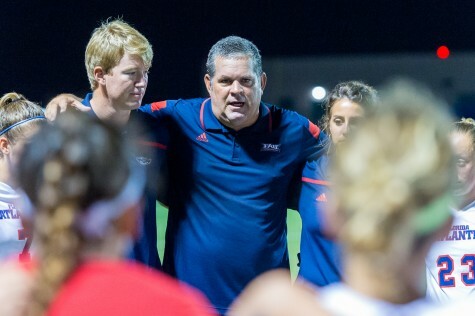 100 minutes wasn’t enough for the Owls in their home opener, as they take down St. Thomas in double overtime behind an excellent shot from Gonzalo Pena. 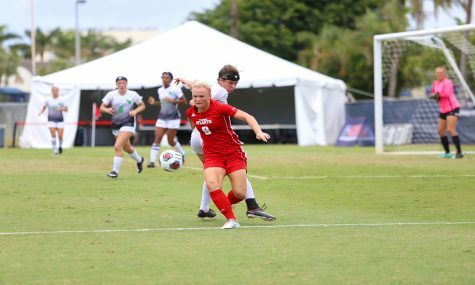 FAU capitalized on a late one-man advantage to pick up its first win of the season over the visiting Bobcats. The Owls dominated possession early in the game. In the second minute, St. Thomas let up a free kick, which Alonso Camarero almost converted into an Owls’ goal. 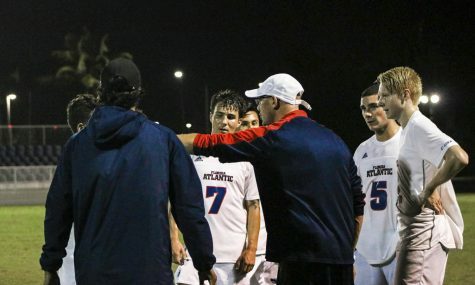 Frustration began to set in for the Bobcats, as Gabriel Oakley was given his team’s first caution of the game in the seventh minute. Shortly after Oakley’s caution, the Owls would take the first corner kick of the game. Alvaro Rodriguez took the shoot, but it went wide of the goal. 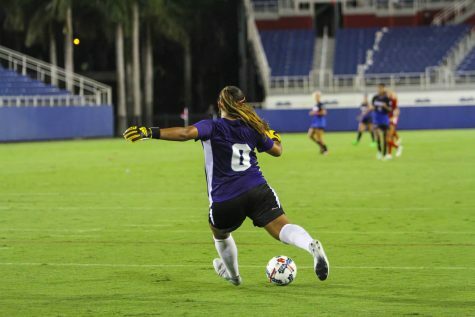 St. Thomas’ Abraham Bibas ninth minute corner kick was then deflected out by FAU. In the 15th minute, the match would see it’s first shot on goal, taken and missed by St. Thomas. The Owls responded on the other end with a near Camarero goal off a Alberto Escobedo cross, but the shot was saved by St. Thomas’ keeper. It was an evenly matched start to the game, as the Owls and Bobcats split possession evenly over the first half hour. 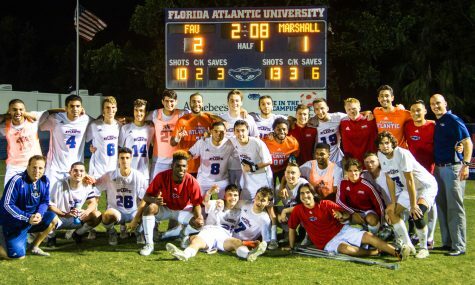 FAU looked to score again in the 31st minute, but the ball would go far right of the goal. Shortly after, the Bobcats responded by taking a header that missed just high. 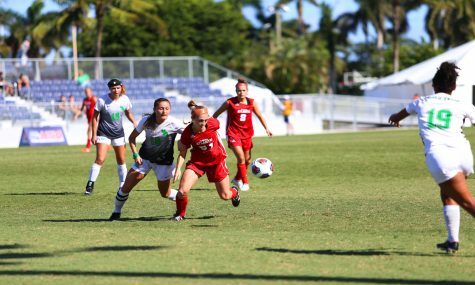 FAU started the second half fast, nearly scoring on a Rodriguez corner kick. The Bobcats then settled down defensively, evening the possession between the teams. Camarero took the ball down the side of the field for a scoring opportunity in the 50th minute but the shot was defended by St. Thomas. 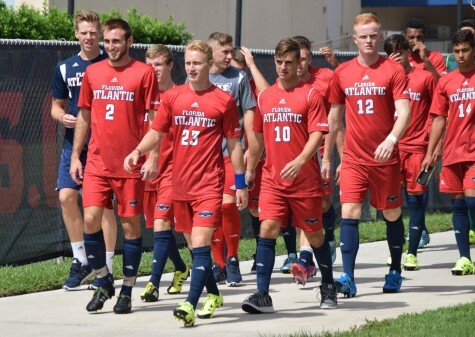 In the 72nd minute, FAU’s Blake Dean responded by putting a shot on goal that was saved by the St. Thomas keeper. Regulation ended with both teams scoreless and the game went into overtime. St. Thomas almost scored the first goal of the game four minutes into the extra period, but keeper Hagay Jalon made a great save. Dean executed a bicycle kick which would have scored if not for the efforts of St. Thomas’ keeper. Neither team could find the goal in overtime either sending the game to double overtime. In the 109th minute, St. Thomas’ Oakley received his second yellow of the match, ejecting him from the game. 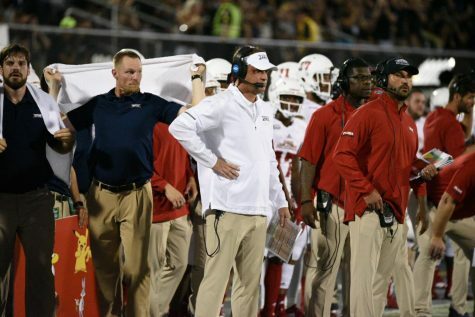 FAU then had a one-man advantage. With less than a minute left in the game, Gonzalo Pena received a cross from Camarero and scored the game-winning goal. 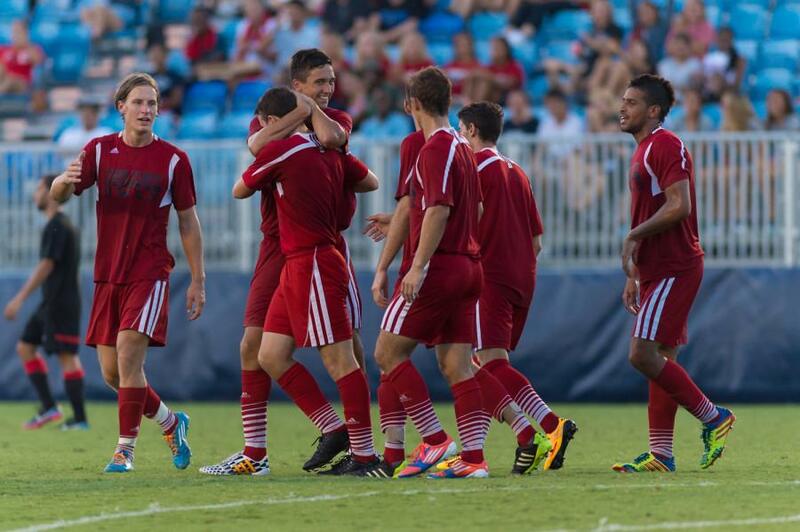 The Men’s Soccer team will take on South Carolina at home next Friday, September 7 at 7 p.m.